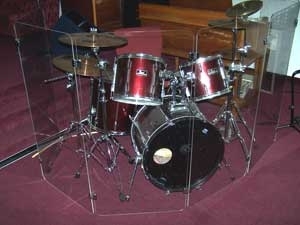 *Starting Price for drumshields refers to the 2ft x 4ft Four Panel Drumshield with standard hinges. 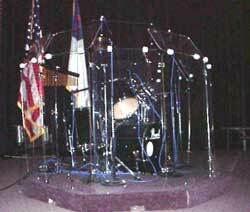 Our drumshields are highly customizable, perfect for musicians and churches. We will work with you to create a custom drumshield at affordable pricing. Sound deflectors and living hinges available.